Burnout: When Do I Need Professional Help? Burnout is a type of chronic, work-related stress that affects millions of Americans every year. 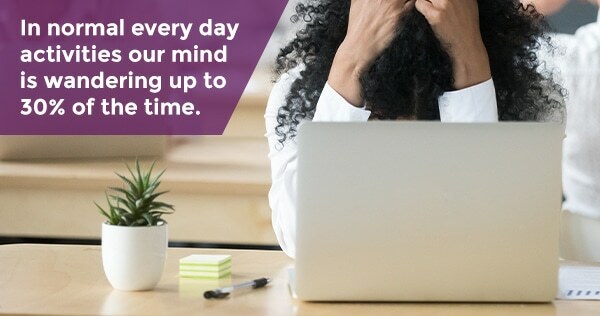 Unlike regular stress, which can be treated with a short break or with calming breaths, burnout is a feeling of physical and emotional exhaustion that needs to be treated with long-term stress-management counseling. That said, what else can you do to manage your long-term stress and reduce your burnout? Here are a few tips you can use to relax, unwind, and manage your stress. One of the main causes of burnout is a poor work-life balance. Even if you’re working at your dream job, you can become burned out if you’re spending more and more time away from friends and family. If you feel yourself suffering from burnout, consider taking the time to ensure your work-life balance is in order. Fix your work schedule so you’re spending less time working after hours at the office and more time with the people who make you happy. Another cause of burnout is boredom. This may sound odd considering our minds wander up to 30% of the time in normal everyday activities. But monotonous work can be just as stressful as high-energy work if you do it over a long enough period of time. Exercise can help to cure that boredom and break up the monotony. What’s more, exercise is a key part of your health because it increases blood circulation and improves hormone production. When do I need to seek professional help for burnout? Burnout can happen to anyone, even to those who love their career and don’t want to change jobs. But if you’re not careful, your burnout can turn into more than just work-related stress. It can turn into depression. If your work-related stress is causing you to experience weight loss, weight gain, social isolation, insomnia, anxiety, apathy, hopelessness, or thoughts of suicide, it’s time to consider counseling services. Where can I find counseling services near me? It can be challenging to deal with burnout on your own. If you start to feel your burnout turning into depression, it might be time to seek out counseling services. To learn more about how therapy can help you manage your stress or depression, contact Keri Powell Therapy today.